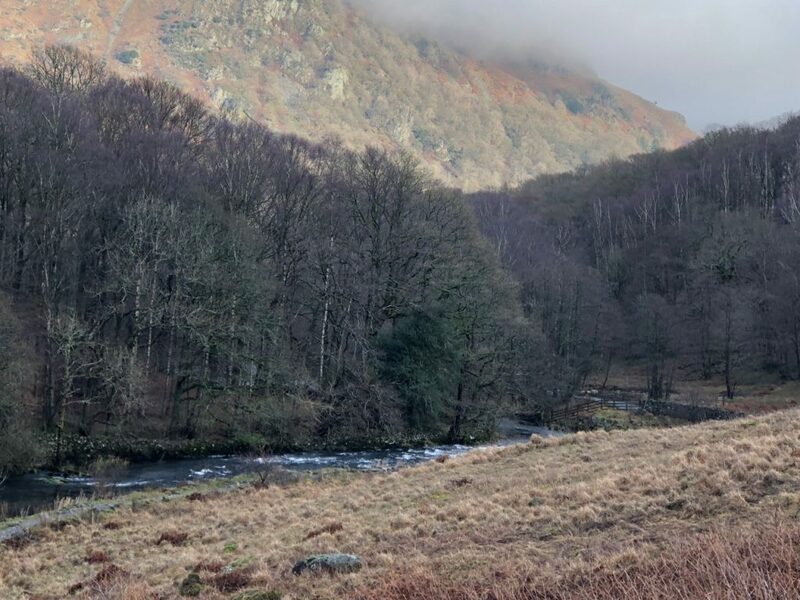 A gentle four mile walk from Grasmere to Ambleside. Starting in the centre of Grasmere, head for the church and then turn right. 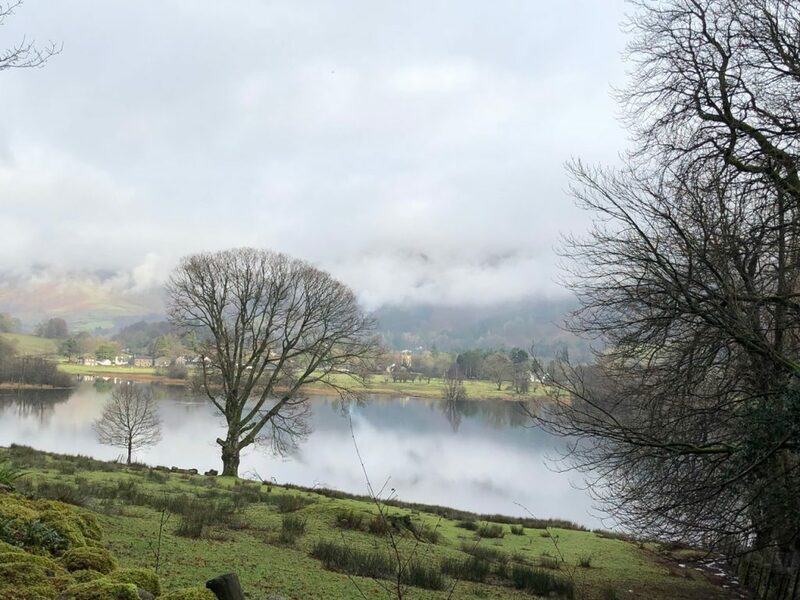 Your route skirts around the southern edge of Grasmere lake, and you now see the water clearly in front of you. 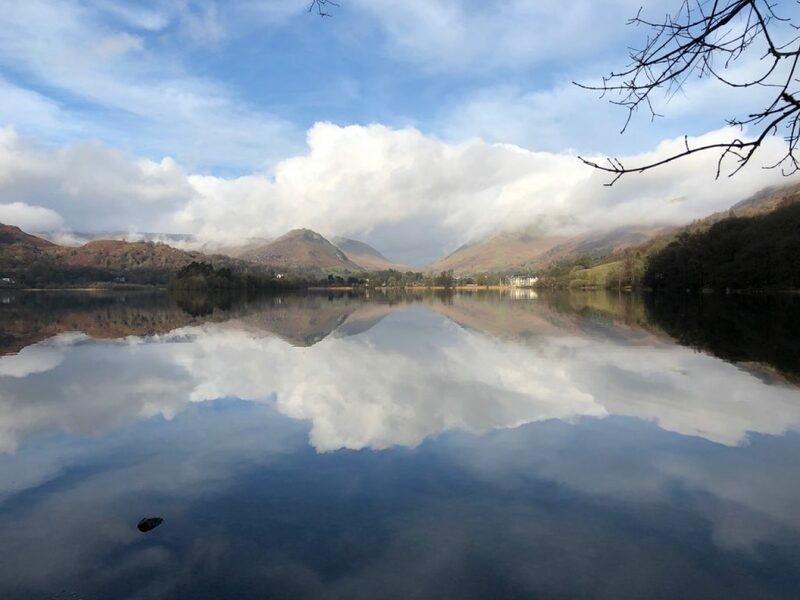 Stay on the road as it passes grand houses with marvellous views over the lake. Resist the temptation to take one of the footpaths to your right and remain on the road until you see a well signposted footpath to the left … you can’t miss it. It turns at 90 degrees sharply and heads directly to the lake’s shoreline. The path is sometimes muddy, but it’s well worth the effort and it meanders along the lakeside for half a mile or so. Loughrigg Fell (395 metres) is now directly in front of you. When you meet the weir and footbridge you have choices. 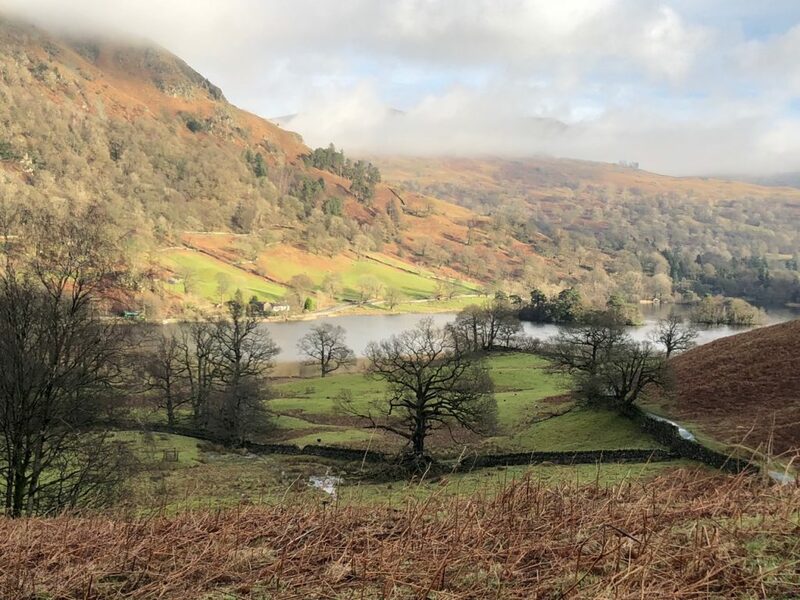 You can cross over to continue your exploration of Grasmere Water itself; follow the river through to the mouth of Rydal Water, or take a half-right, to cut across Loughrigg Fell. We took the later option, and then picked our way over the Fell. 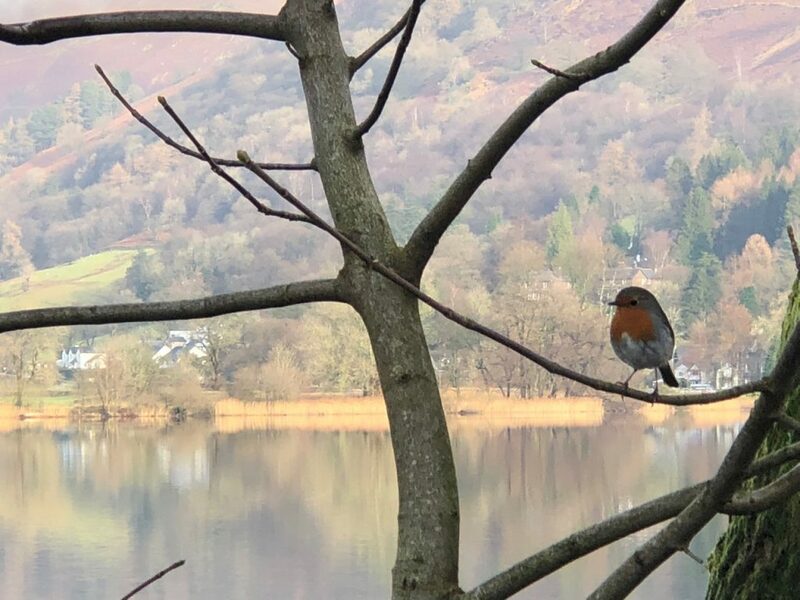 We were rewarded with great views of Rydal Water. The picturesque mini-island in the middle is called Heron Island. We soon reached Rydal Cave, a quite fantastic and atmospheric cavern in the side of the hill. 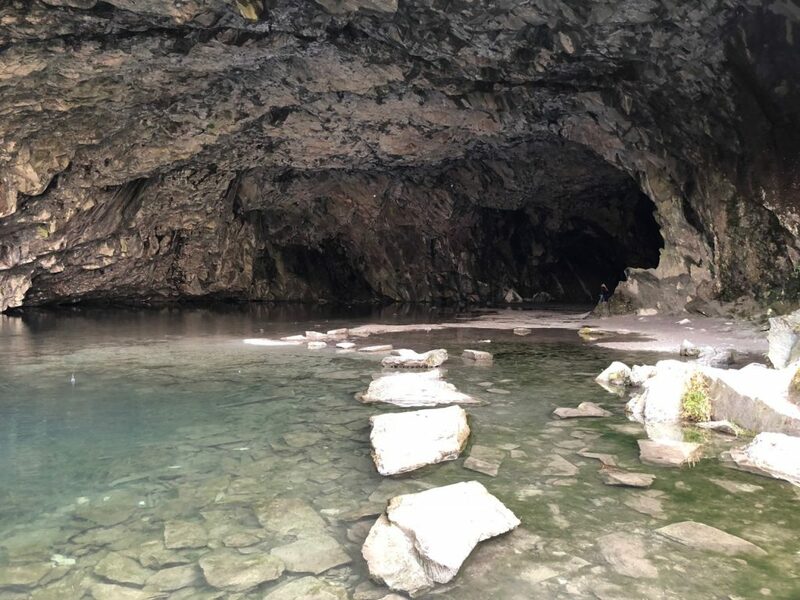 You can enter right into it by jumping over the stepping stones that lay before you … it’s cold and dripping, but well worth an exploration. 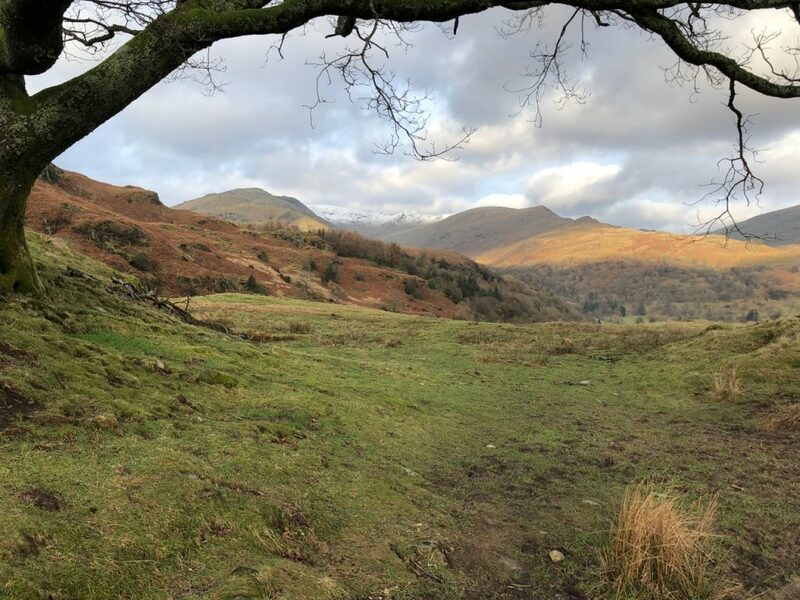 There are now a myriad of paths taking you over Loughrigg Fell. 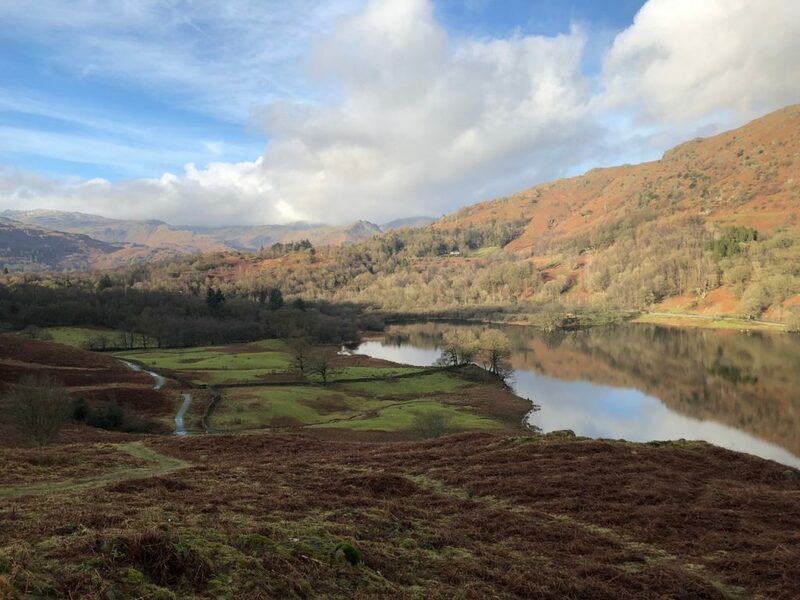 We took the middle option, skirting around to the right of woodland and then joining up with a main bridle path that links Ambleside to Loughrigg Tarn. The path leads you leisurely down into Ambleside. If you are feeling energetic you can walk back. We opted for the easy option and jumped on the bus!